It’s my blog’s 100th post! 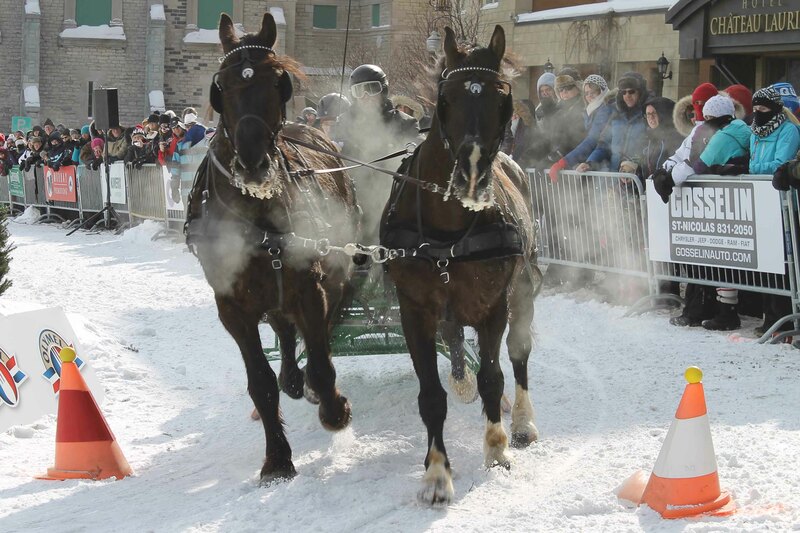 And just in time – last weekend my roommate and I popped up to Quebec for the winter carnival. 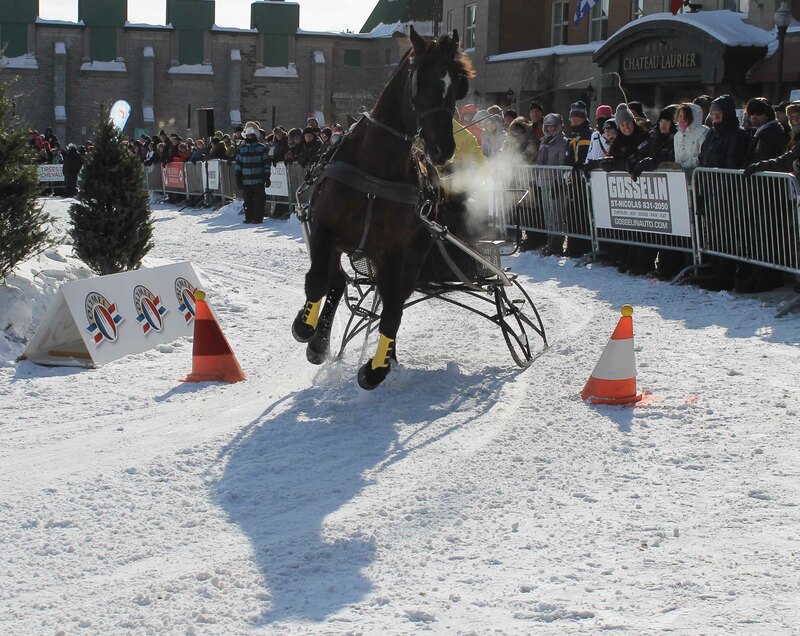 It was a blast but my favorite part was watching the sled racing event – a timed obstacle course; not what I was expecting but hugely enjoyable nonetheless. 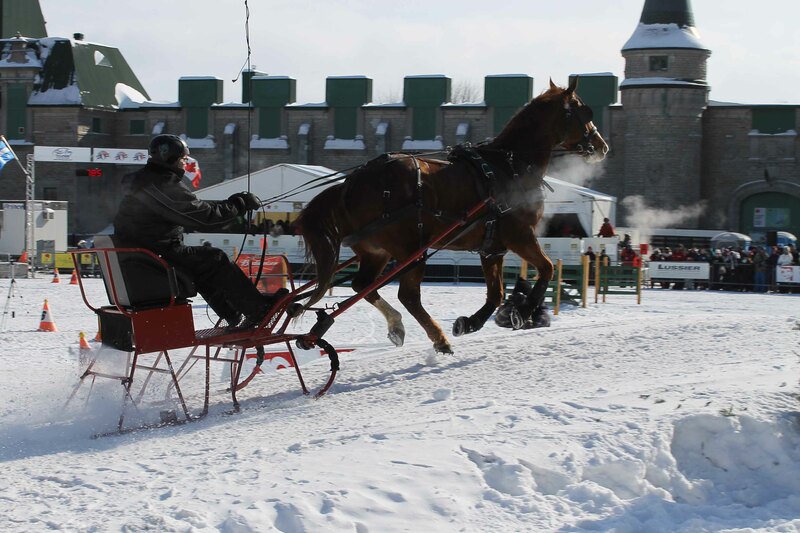 The way some of the horses could maneuver while pulling a sleigh was amazing! Lots of Quarter horses that took the corners like a champ. And they got some impressive speed when not cornering. One of the disadvantages of using a Quarter horse instead of a heavier horse was that they were much more prone to slipping. They had a lot more speed but it was really unnerving to watch them stumble on the snow. 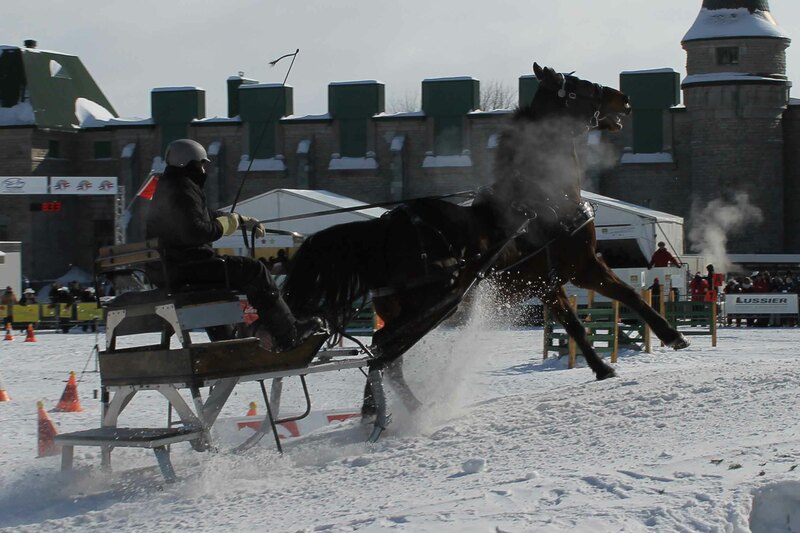 One of the heavier horses – not as fast by a good 7 seconds, but very surefooted! 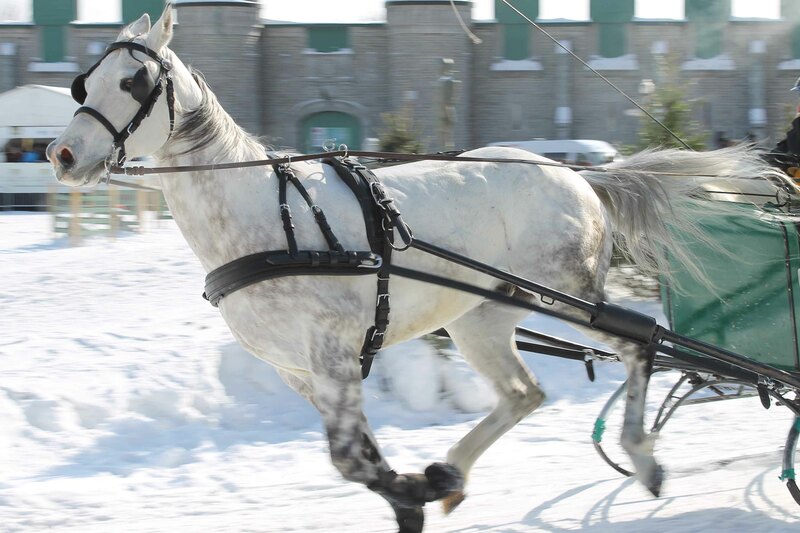 A beautiful Arabian – I also saw a few Halfingers but didn’t take pictures unfortunately. A two-horse team! 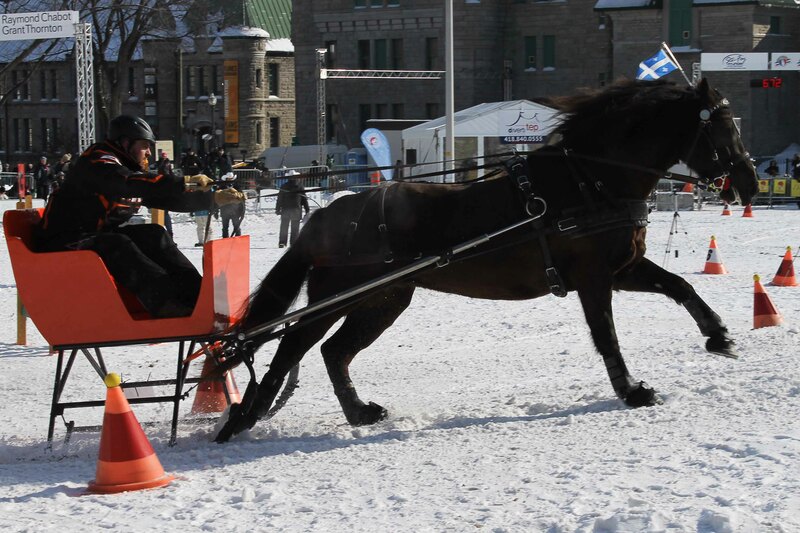 They ran the exact same course as the single sleds, and it was extremely impressive how well they maneuvered. And finally, the cutest contestants. The pony was a pro and clearly in charge of the duo – he did a pretty good job of it too, though he outright ignored a few of the obstacles. This was great fun to watch! I highly recommend it if you happen to be nearby.